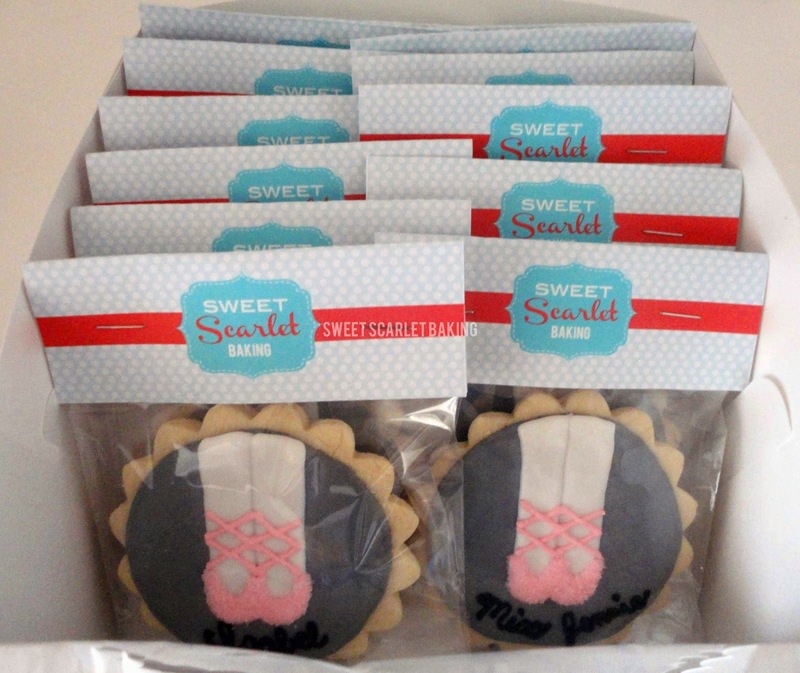 Sweet Scarlet Baking: Let's Dance! 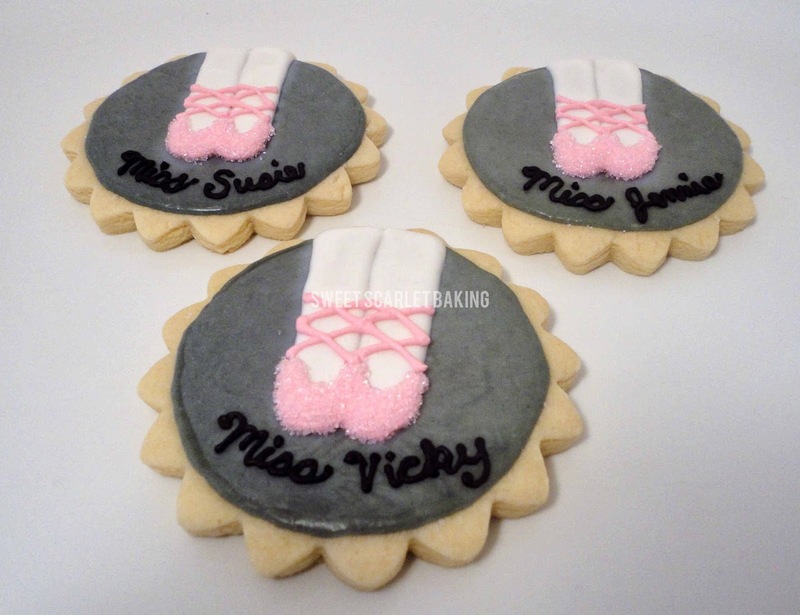 for her daughters to give as gifts to the girls in their dance classes. She gave me a list of names and asked me to create whatever design I would like. 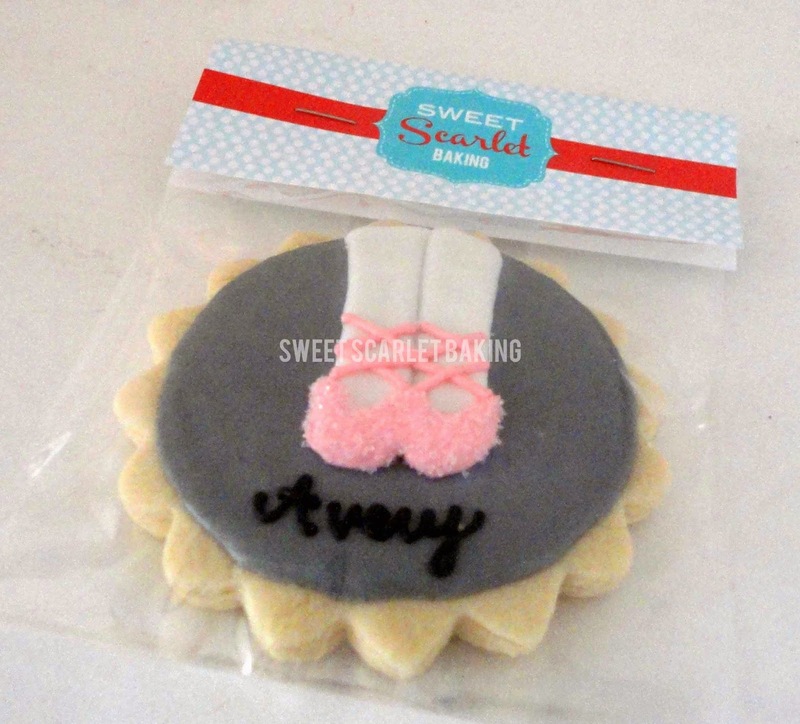 I was inspired by this design from Katie's Something Sweet. 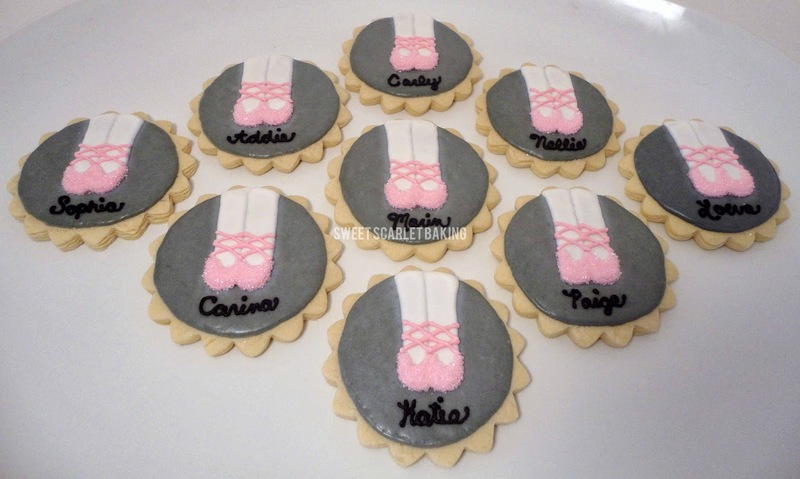 pink ballet slippers to pop and the sanding sugar adds a bit of whimsy. 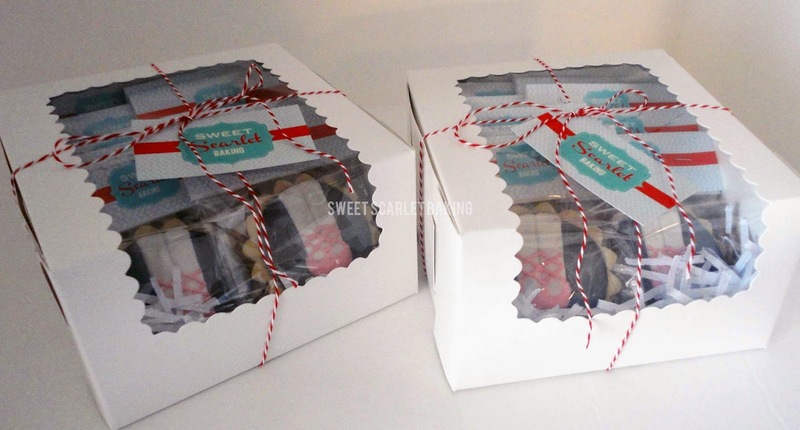 We included cookies for the teachers, as well, and packaged them up for each girl to take home.